Did You Know You Can Save Money at Tax Time if You're a Student? Taking up any course of study inevitably has costs involved, and between transport, student and course fees, textbooks and other resources, these can add up faster than you’d imagine. Luckily, if you’re studying to improve your current work skills or increase your income, you may be eligible to claim some of these expenses on your tax. Claiming legitimate expenses is an easy way to increase your return and save money. 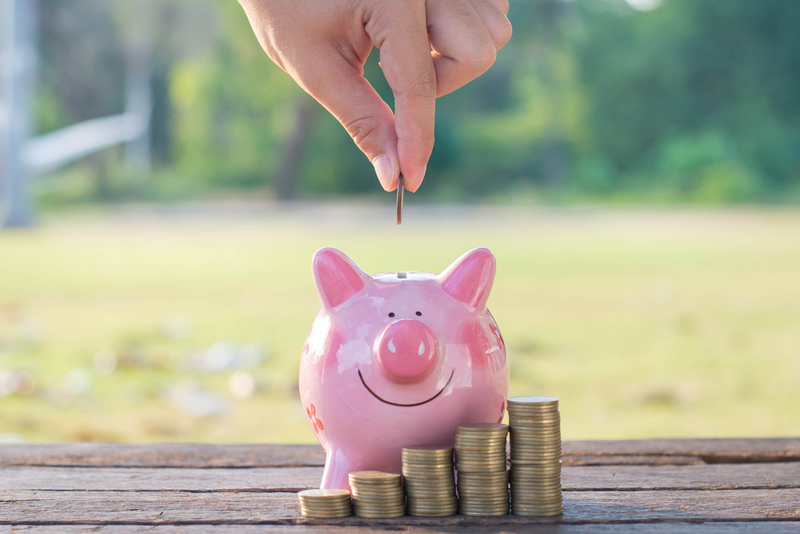 It pays to know what you can and can’t claim, and whether you’re eligible, so have a read of the info below and find out how you could save a few dollars this June. Did you know you might be able to claim your education expenses at tax time? In order to claim your self-education expenses your studies must either help you improve or gain particular skills related to your current employment, or potentially increase your income in your current field of work. Either of these are great reasons to take on a new course or start studying, and being able to claim some of the associated expenses is definitely a bonus. This is also something to keep in mind when deciding whether to take on a new course or consider new qualifications. Chances are, if the qualification would help you advance your current work position, you may be able to claim your expenses. If the course wouldn’t improve your skills or help your earning capacity, it may be time to consider a more advanced course. The important thing is to make sure the course will provide you with skills or qualifications that are useful to your current employment, or will help you to bump up to that next pay grade. The things you can claim must obviously be related to your studies. This can be a pretty extensive list but isn’t just limited to textbooks and stationary. In fact, you may be able to claim a significant amount of the costs associated with your course. A good starting point when thinking about expenses is to think of all the things you need to purchase for your course. Do you need to travel? Is it a long commute? Do you study from your home office? Do you need specialist equipment? Will you need to use your phone or internet? What other resources do you need to buy to help you complete the work itself? Ask yourself these questions to ensure you’re claiming all your relevant costs and then work through them all to make sure they’re eligible for claiming come tax time. Eligible expenses include parking fees if you have to travel for study, accommodation and meals if you’re required to travel overnight, and even phone and internet costs. You can also claim the Student Services and Amenities Fee, student union fees and course fees. If you have to purchase any technical equipment for your course, computer consumables, or even subscriptions to relevant trade, academic or professional journals these may also be covered. While this list is pretty extensive, there are a couple of study related expenses you can’t claim, such as any repayments of a Higher Education Loan Program (HELP) or Student Financial Supplement Scheme. It’s important to know the limits to what you can claim, in addition to the types of expenses. Not every expense can be fully claimed, and some categories of expenses are subject to a limit. Now that you have a better idea of what you can claim, it’s time to start keeping track of your expenses to make sure you know exactly how much your study related expenses cost before you need to claim them. Luckily, this is pretty straightforward and there’s even an app to help make tax time a little less painful and a little more rewarding. When claiming expenses on your tax it’s really important to make sure you have an accurate record of your claim, and can provide details to the ATO if required. This not only helps you get the most out of your claim, but ensures it’s accuracy – no one wants to get hit with a big tax bill. These tips don’t just apply to education expenses, good organisation is helpful for all of your tax return needs. To help make tax time a little easier, the ATO has a handy app to help you keep track of your expenses and make sure you can submit a complete return. The myDeductions app lets you store photos of receipts, enter other relevant expenses and even has a GPS feature to help you log any relevant travel. If you’re not in to apps, keeping an online or hard copy record is also fine – whatever helps you record your expenses to get the most out of your tax return so you can save money. Remember, this is just a guide to get you started and to keep in mind throughout the financial year. To confirm your eligibility, calculate your expenses or even estimate of what you can claim, head to the ATO self-education expenses calculator, or have a chat to an accountant about your self-education costs and how best to save money on your study. Find out about our End Of Financial Year deals by getting in touch with us today on 1300 009 924 and speak with an education manager to find out more.